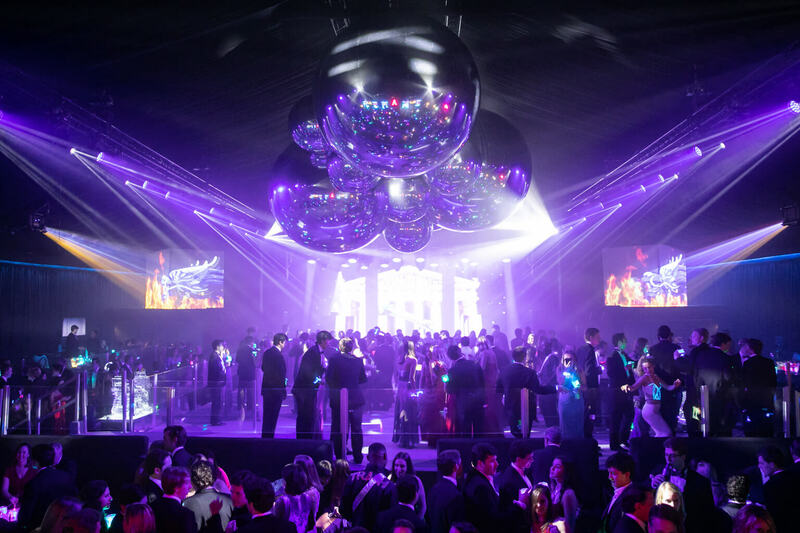 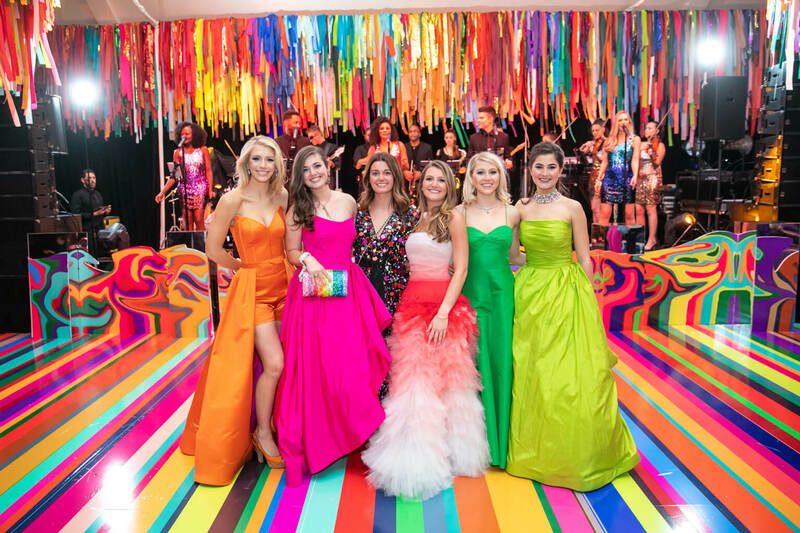 Wanting to celebrate their 21st birthdays in style, six Houston debutantes hosted a black-tie event dubbed the “Color Ball” that was exquisite and awash in color. 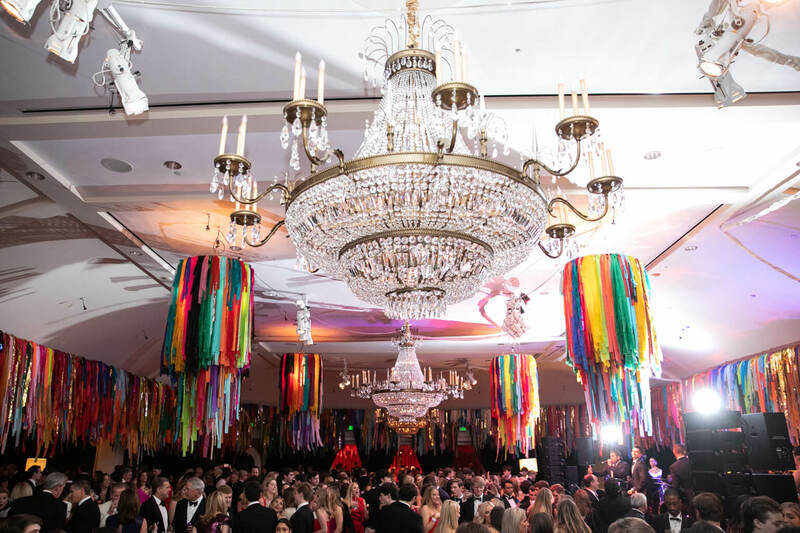 Todd Fiscus of Todd Events planned the unforgettable event at River Oaks Country Club. 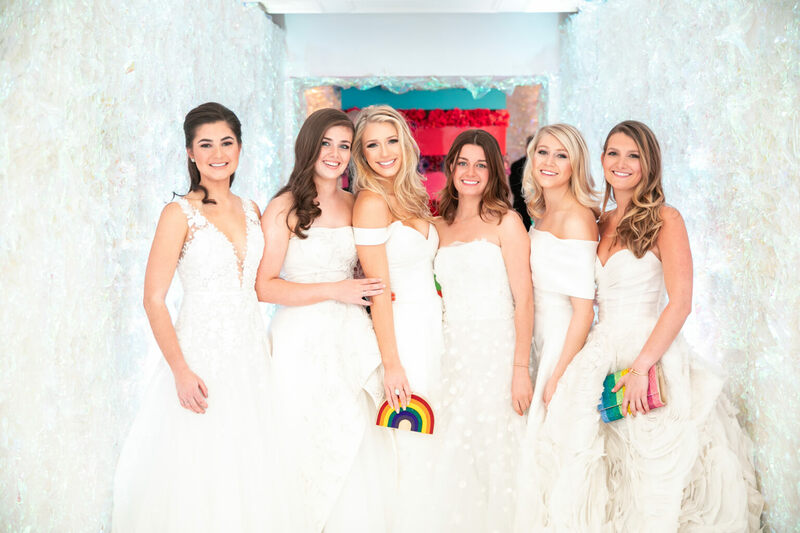 Each color represented a debutante – Kallie in blue, Martha in pink, Hailey in purple, Lindsey in red, Caroline in green, and Alanna in orange – and the décor was just as vibrant as their ensembles. 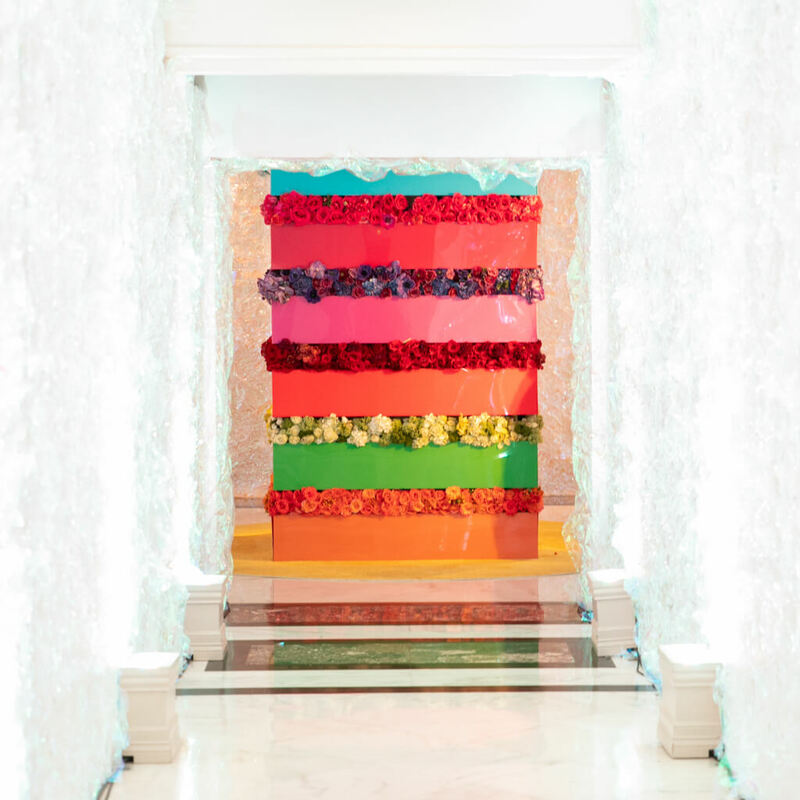 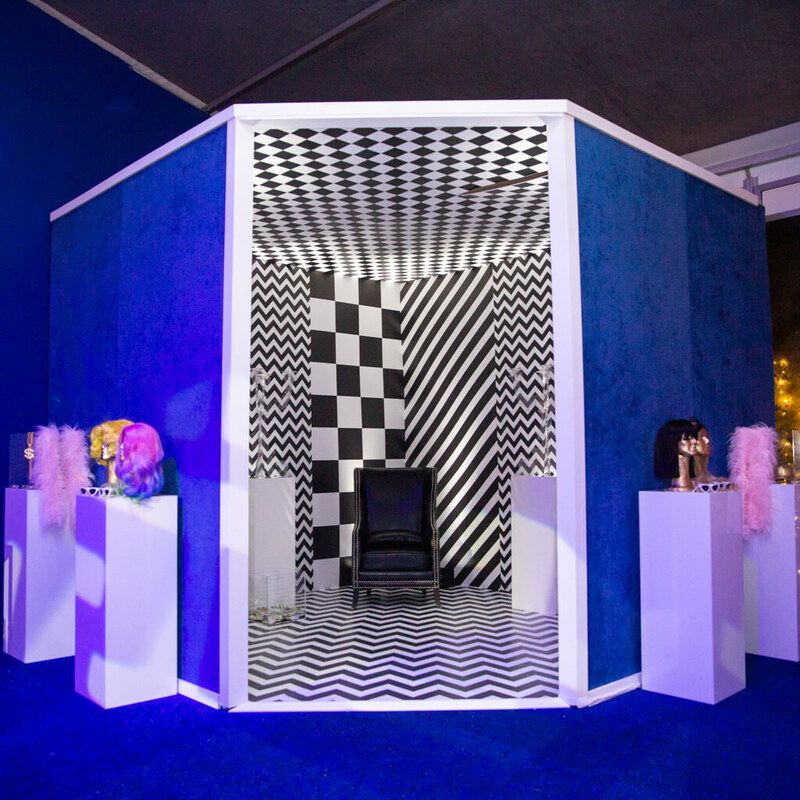 Guests entered through striking tunnels covered in holographic cellophane to enter the rainbow-styled space. 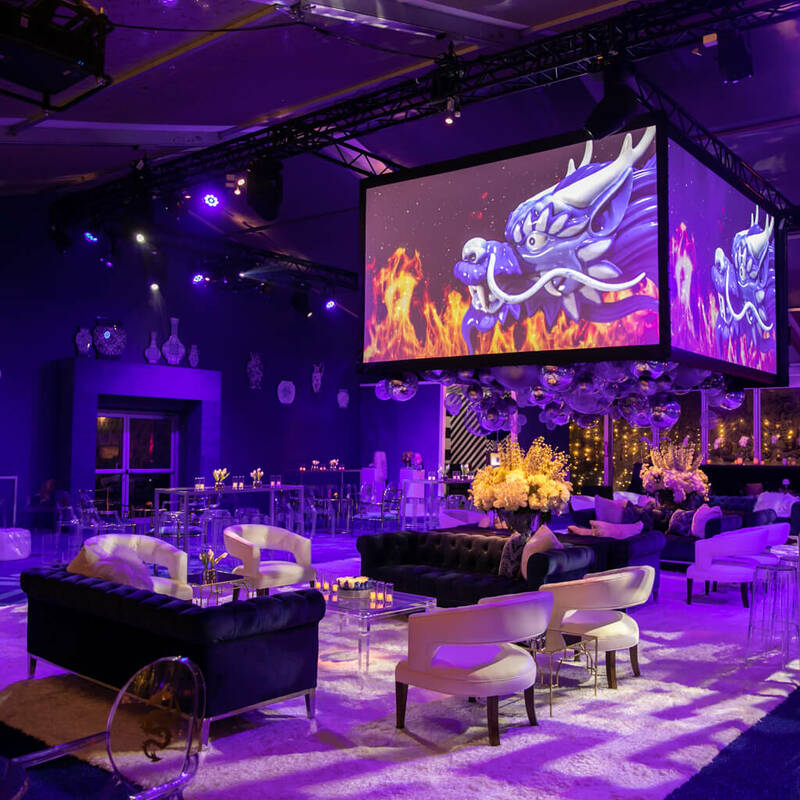 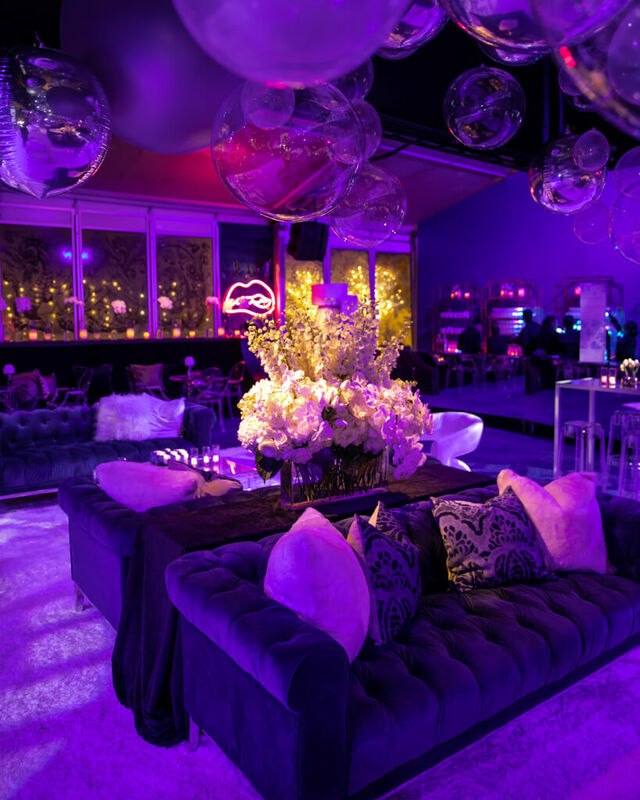 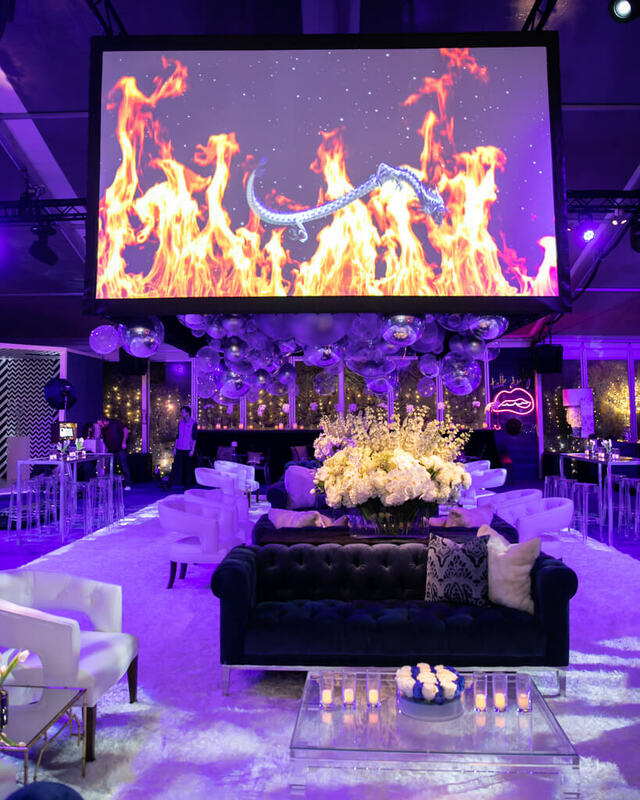 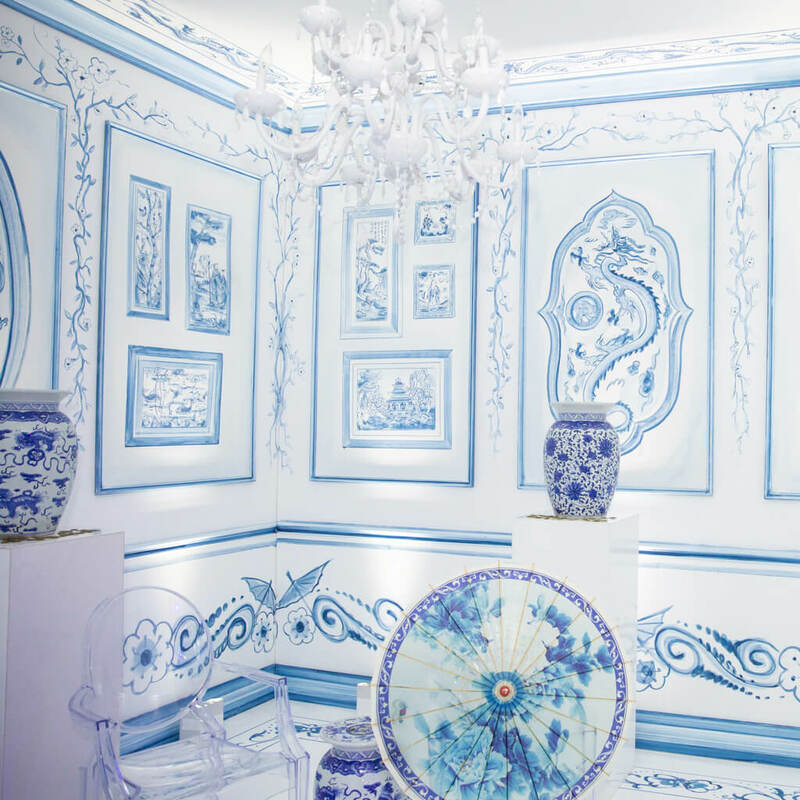 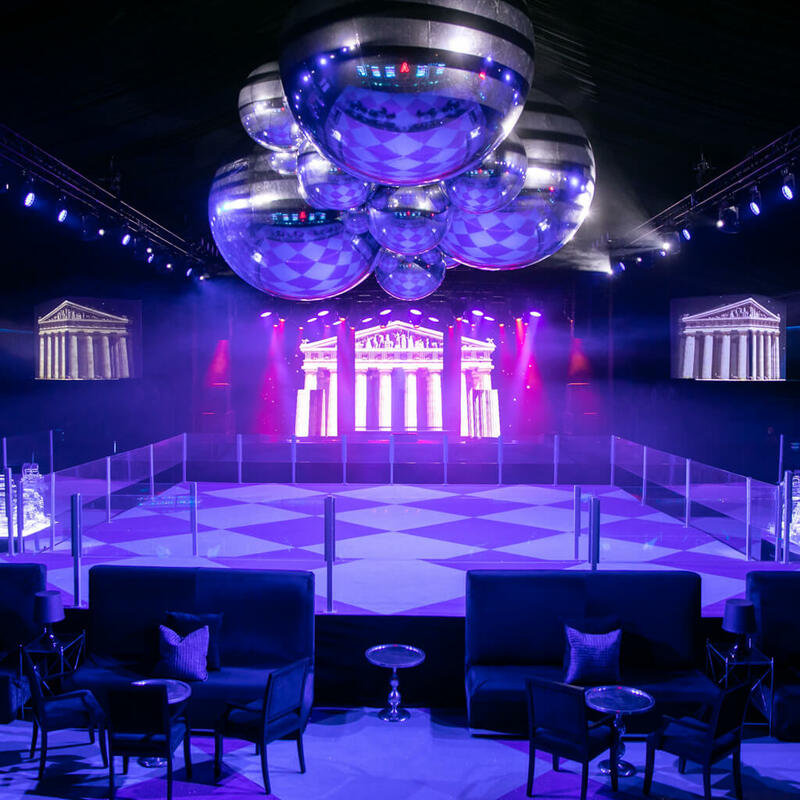 A large ballroom showcased various lounge areas designed with each debutante’s hue in mind, complete with personal photos embellishing cocktail tables in front of velvet sofas and upholstered armchairs. 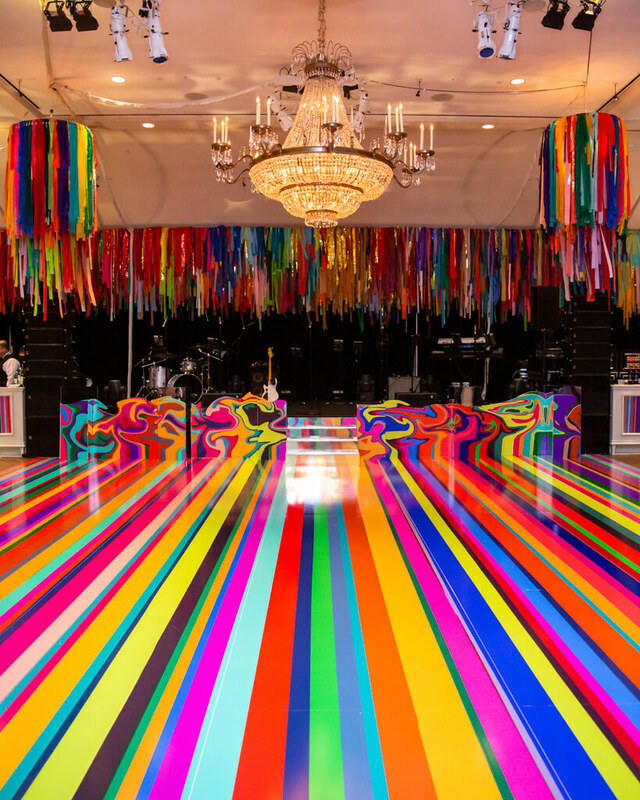 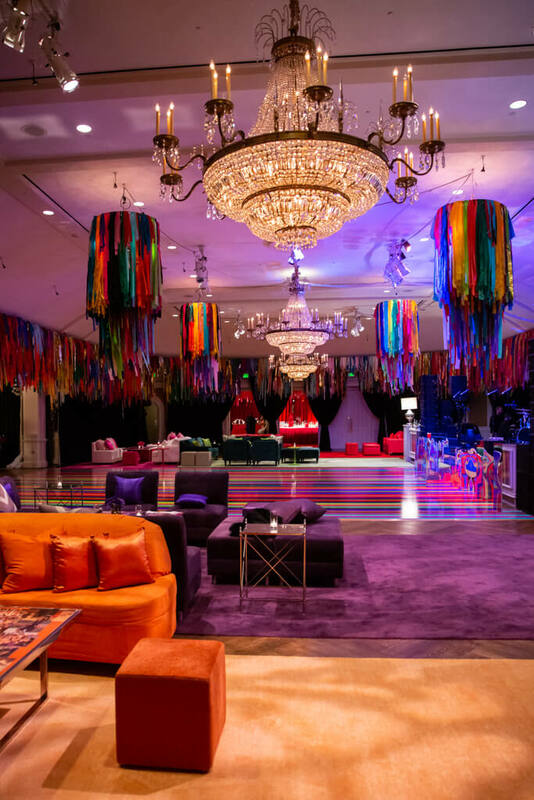 Ribbon streamers were suspended around the perimeter and from chandeliers over a large dance floor featuring a multicolored vinyl design. 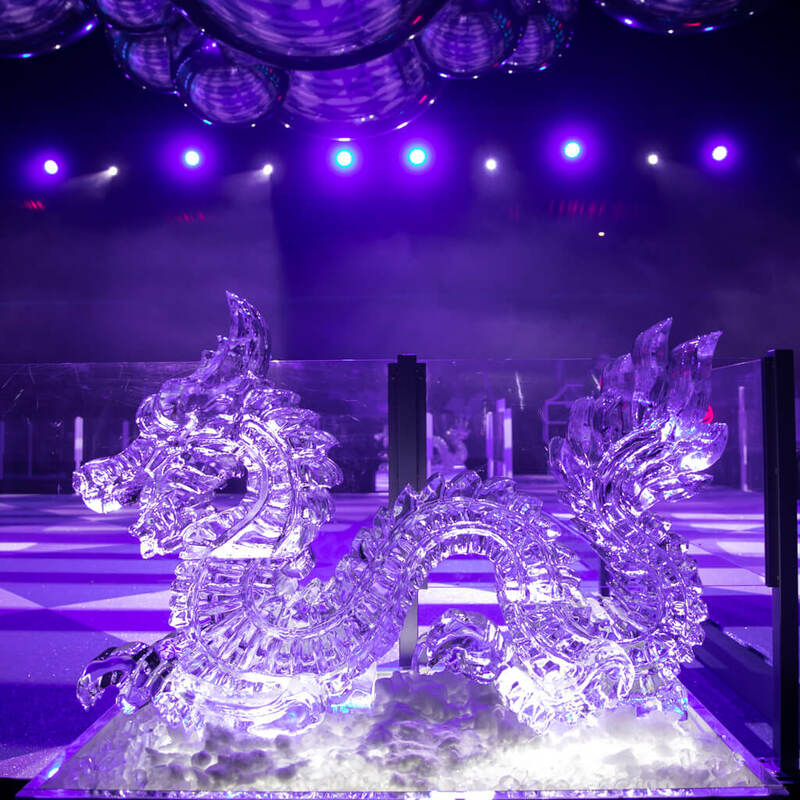 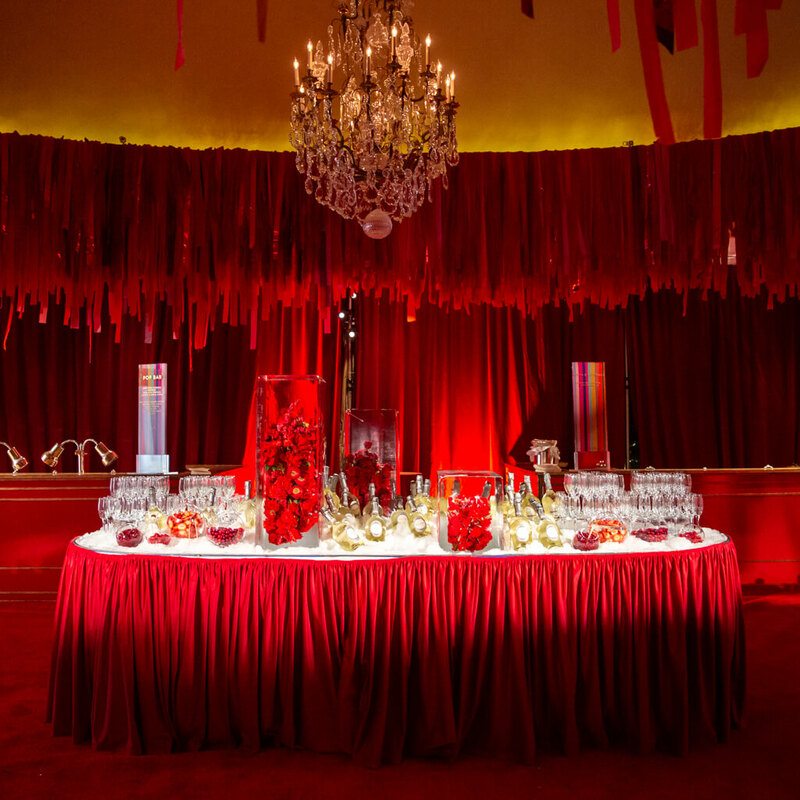 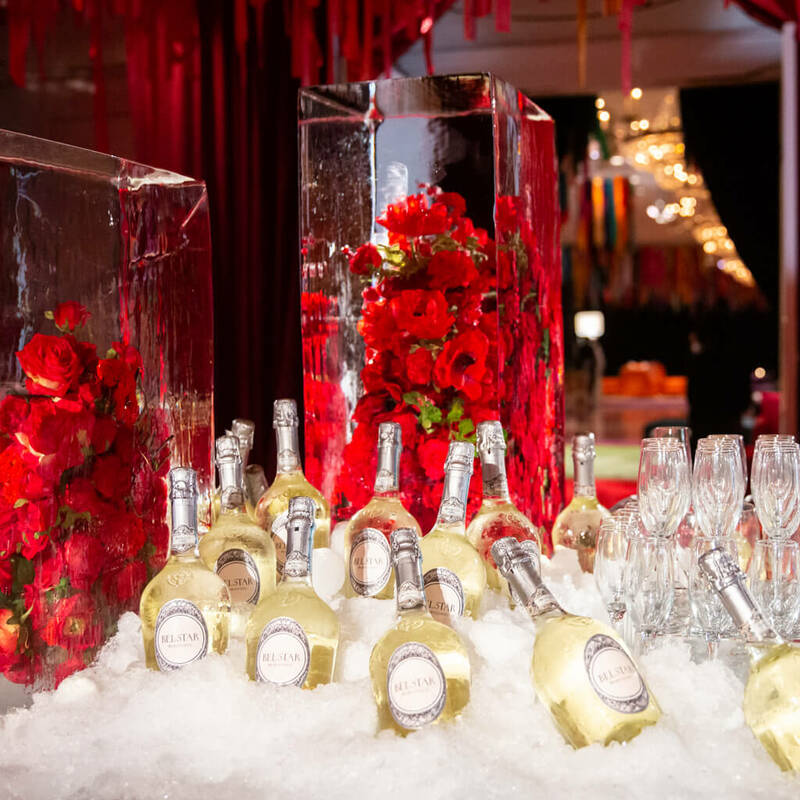 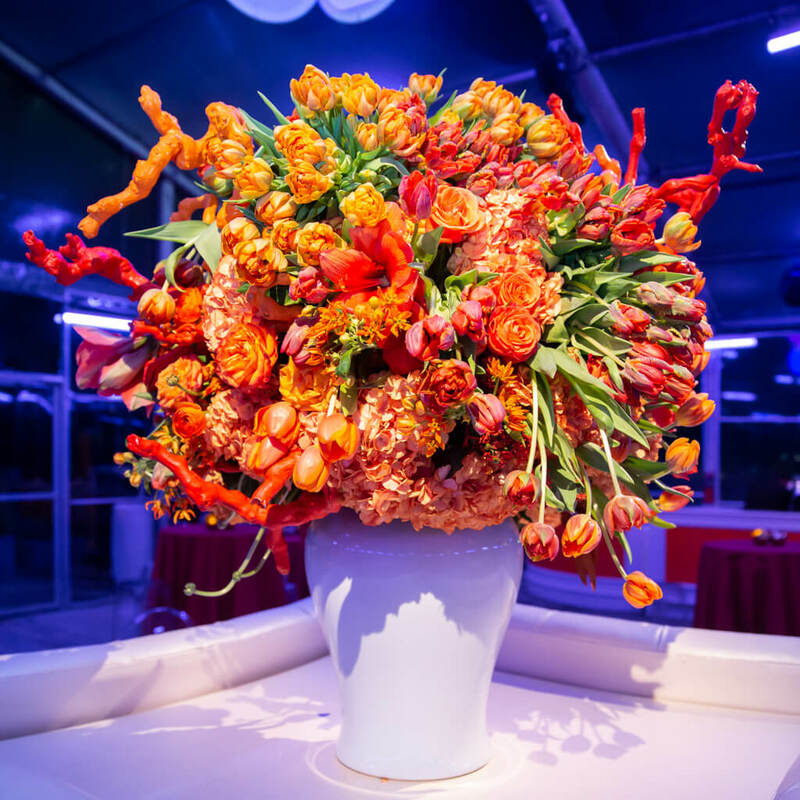 Festive fare included choices from various stations offering comfort foods, as well as a red room filled with bold décor and a prosecco bar decorated with ice sculptures around bright red blooms. 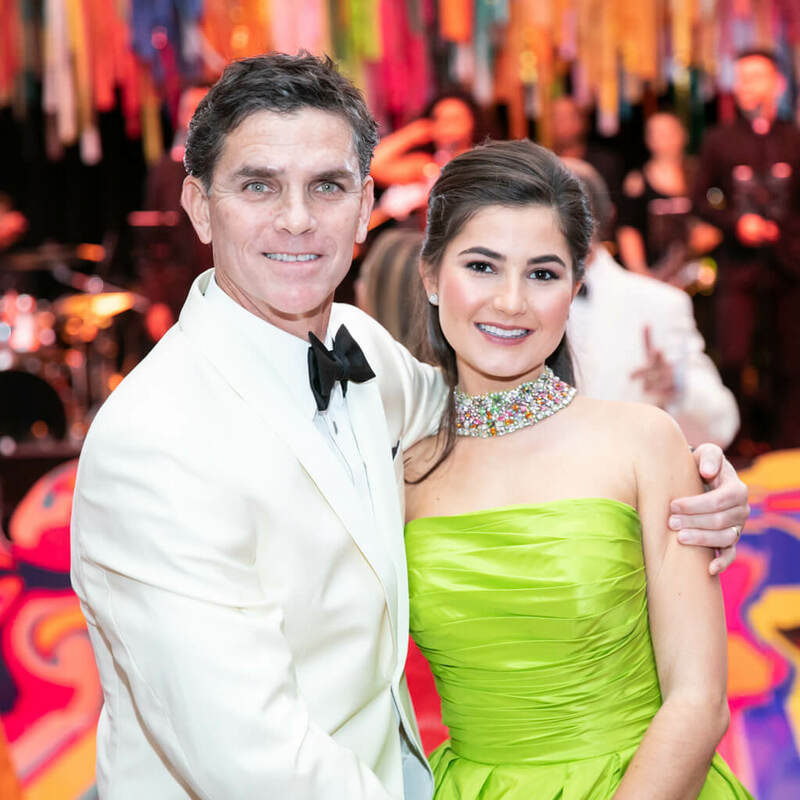 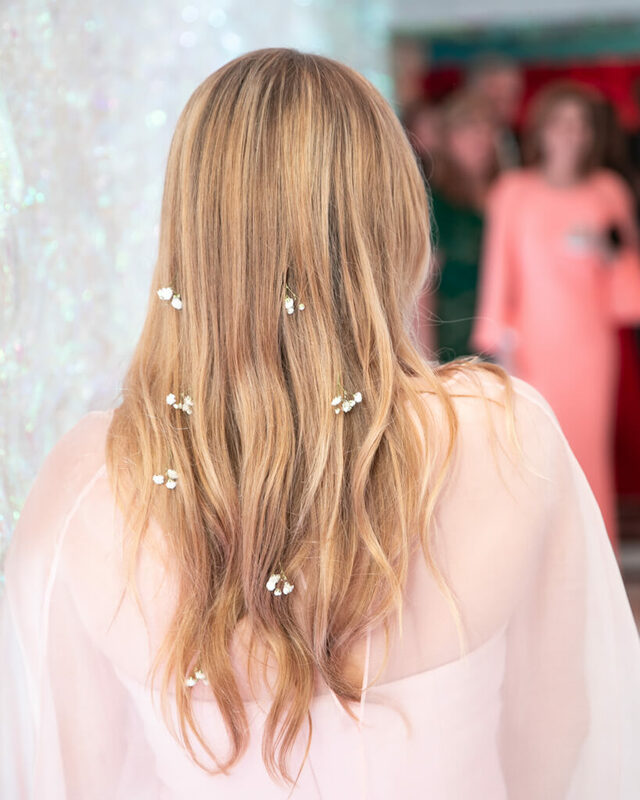 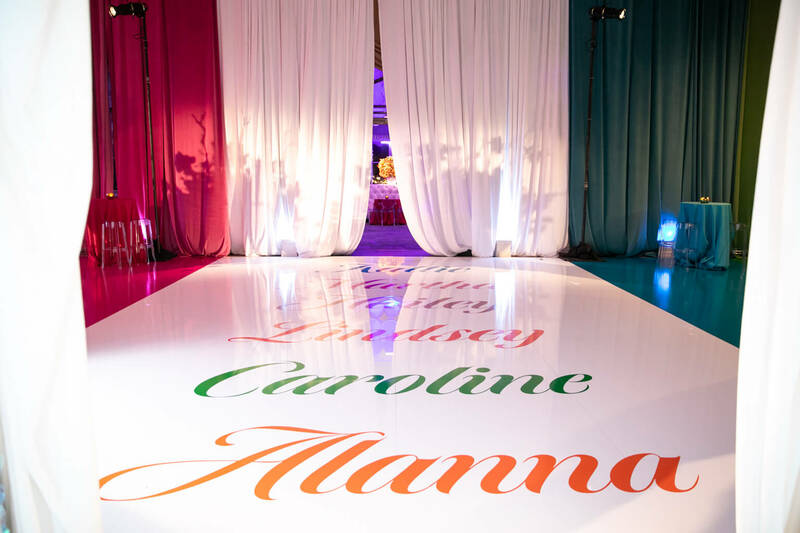 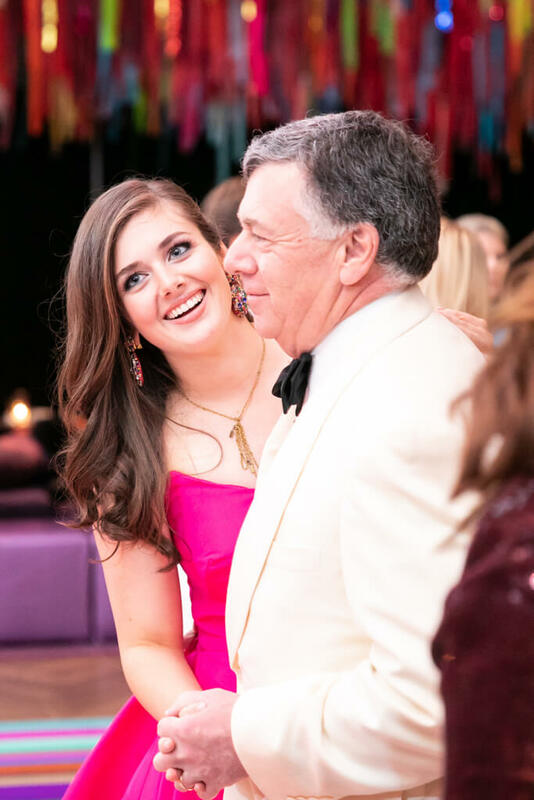 Following the colorful debutante ball, Alanna – dressed in the orange gown – changed into a sequin jumpsuit before her once-in-a-lifetime after-party, also designed by Todd Events. 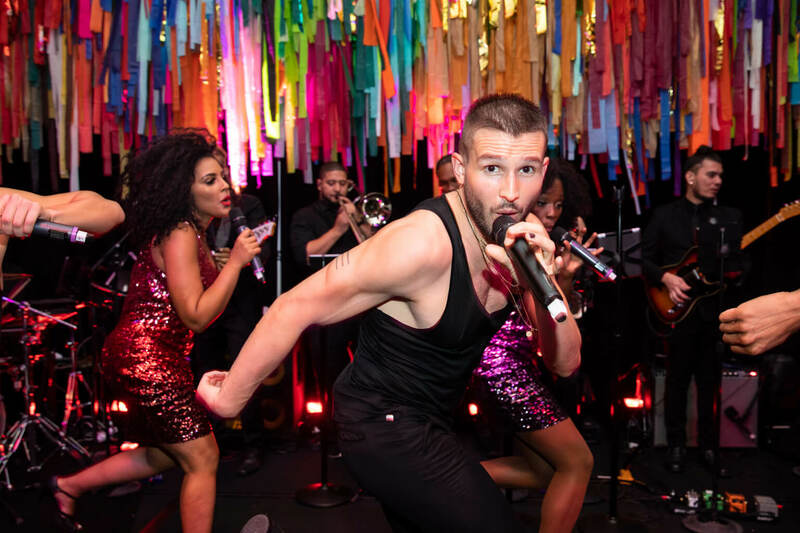 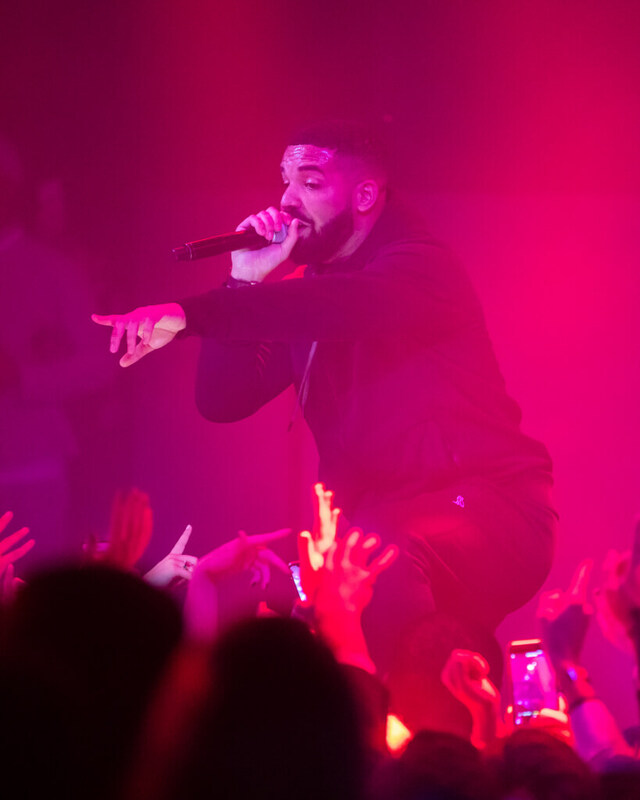 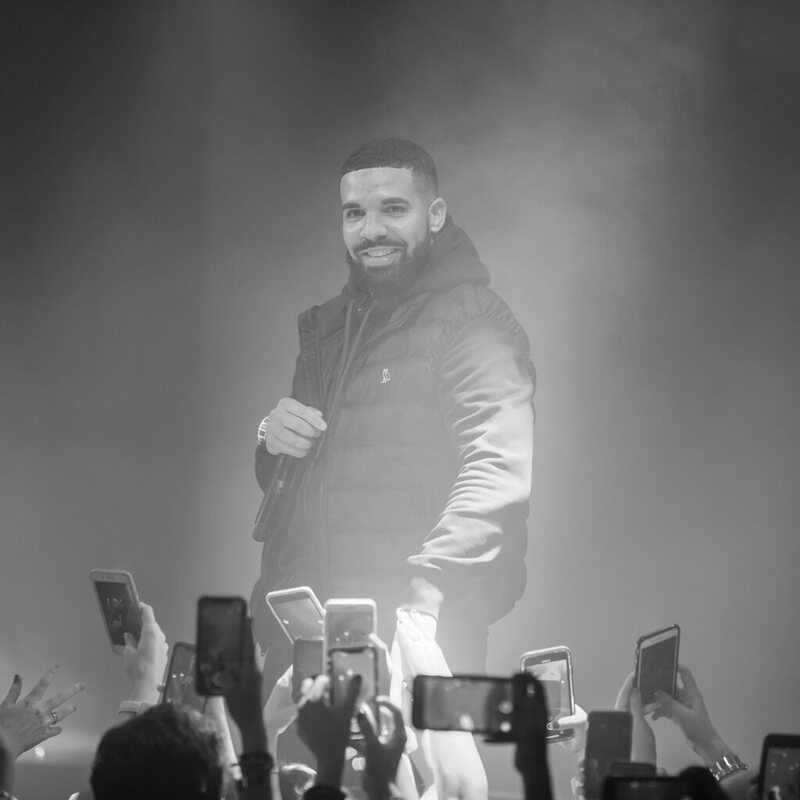 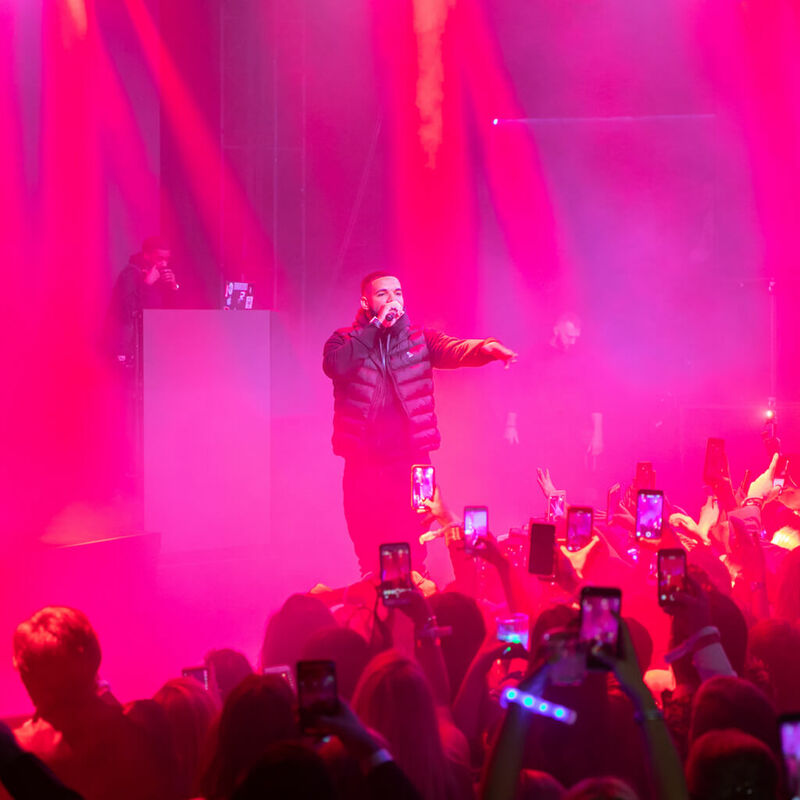 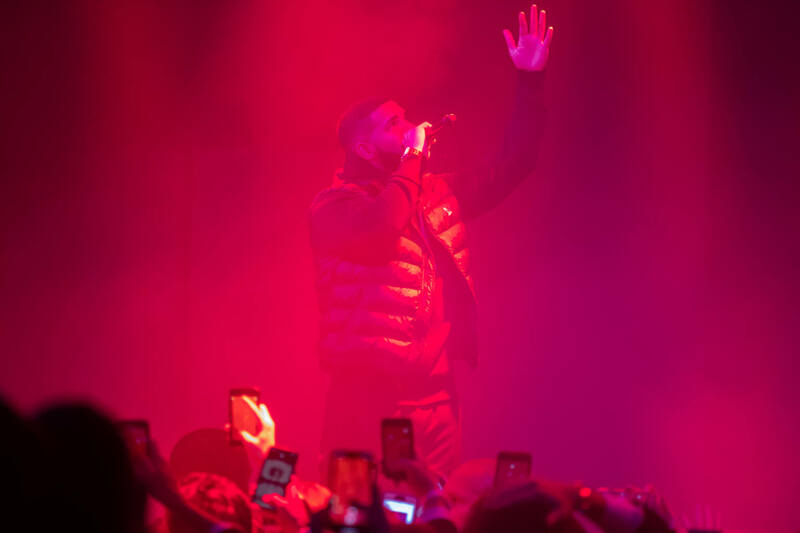 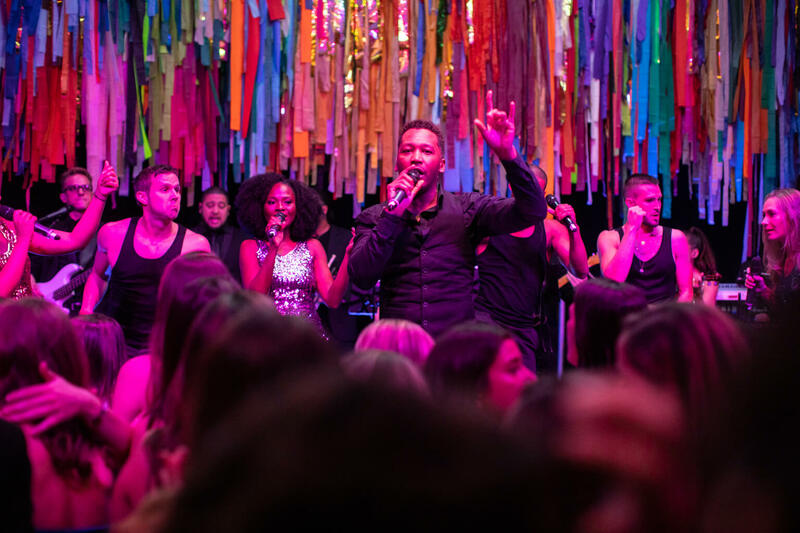 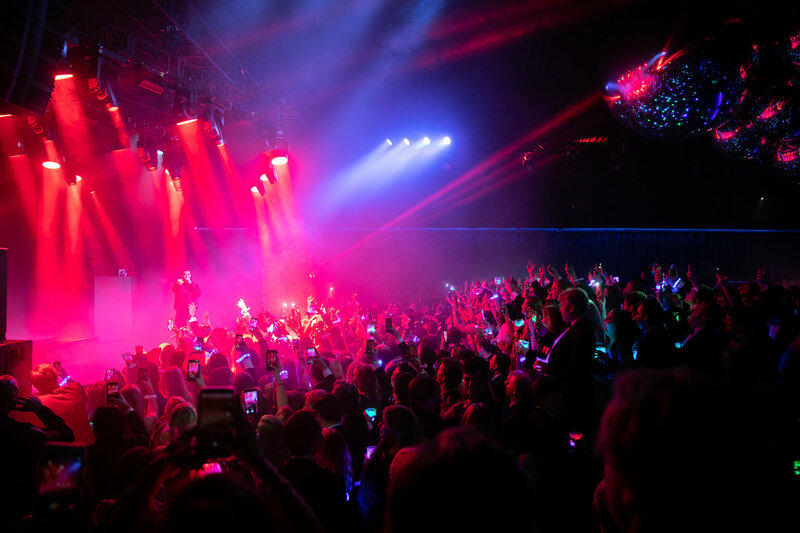 Guests enjoyed late-night snacks, dancing, and a special surprise performance by Drake that kept the party going until the wee hours of the morning for a night that the debutantes and their loved ones will never forget.